Would it make sense to have the proposed Texas high-speed rail line end in downtown Houston? Or should the final stop be further out? 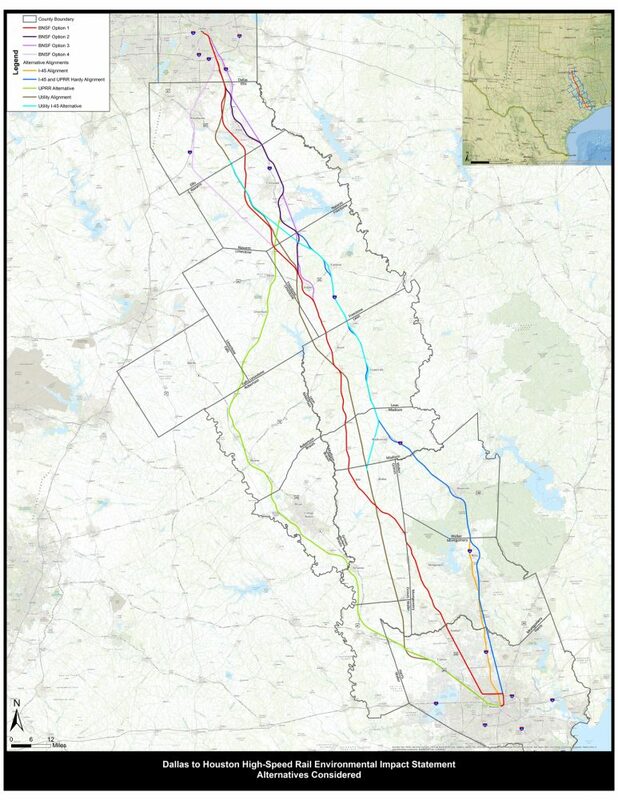 The city of Houston is requesting applications from companies to conduct a feasibility study on the proposed high-speed rail line between Houston and Dallas. The company Texas Central Partners is developing the rail line project. Its current plan envisions the Houston station to be at the Northwest Mall on the corner of the 610 Loop and US-290. Philip Salerno is with the group Houston High-Speed Rail Watch. He supports the rail but prefers it not go downtown. “Building an elevated aqueduct in somebody’s backyard in these older neighborhoods in town that are going through quite a renaissance right now would not be appropriate,” he said. A report by the Federal Railroad Administration last year determined that having the rail go to downtown would have too much of an environmental impact and associated cost. Green said the city’s study will look at different possibilities for routes that would not run through neighborhoods. He said the hope is to find a company to do the study by the end of the summer and have results early next year. The plan is for the high-speed rail to start operating in 2021.